Learning the Russian or Ukrainian language with EESA online is as close as you can get to full immersion without travelling abroad. 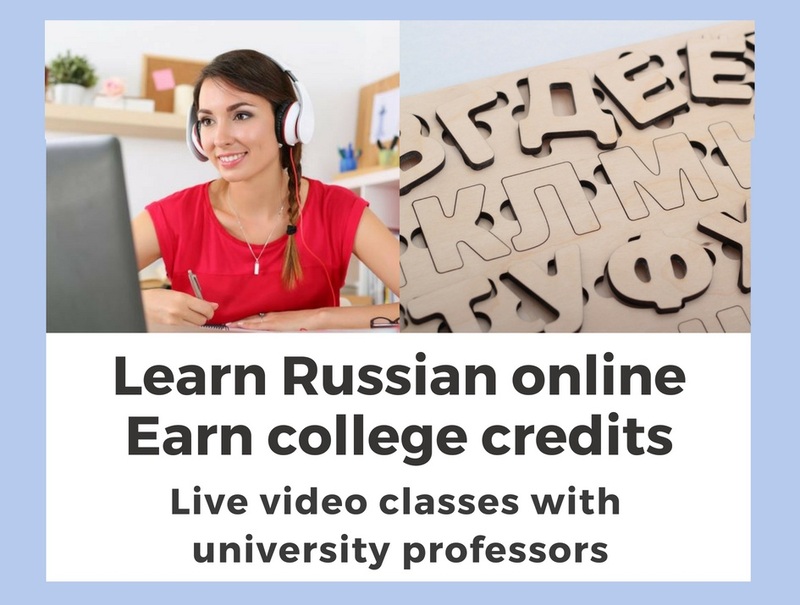 All programs consist of several hours each day of live video conferences with a highly qualified professor from Karazin Kharkiv National University and assignments to complete at home. Students planning to study abroad with EESA in the future are encouraged to take some online courses beforehand in order to be more prepared for their time abroad. This is a good opportunity also for adults who wish to learn Russian for business or personal needs. Online language courses are offered for all levels in either group or one-on-one setting. All program alumni may request official transcripts from Karazin Kharkiv National University, and can transfer these credits towards degrees at other universities. 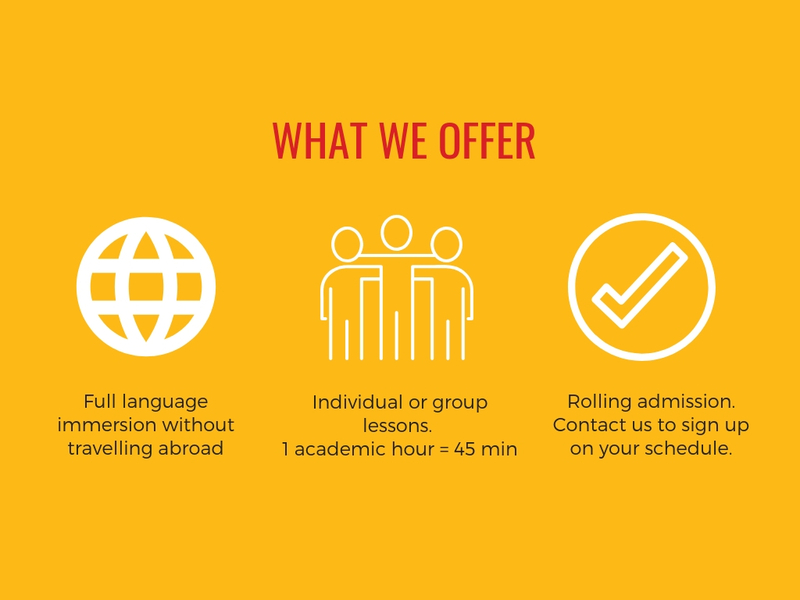 EESA online program is the next best way of learning the language when you are not able to travel and live in a country where the language is spoken, but can communicate with locals in real time. Available programs include, but are not limited to the following. Please contact us and we will get you set up with the program that meets your schedule and goals! The list of available courses is here. Please contact us for more information about additional courses. Please contact us to arrange your online course. Individual instruction fee ($5/hr) is waived through June 2019. 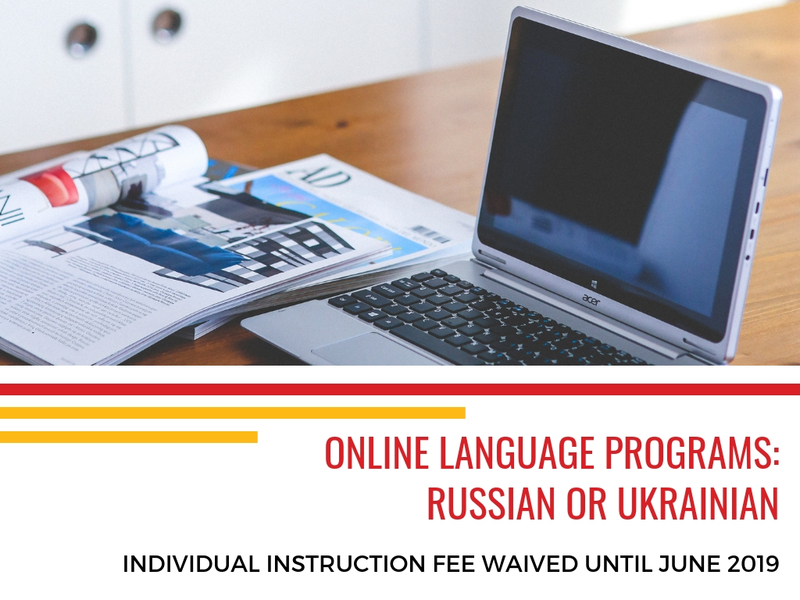 Now is the perfect time to take proven efficiency online language courses in Russian or Ukrainian. Below are some examples of EESA's online courses. An individual class with your target hours and schedule can be set up for you by your EESA advisor. Dates and Deadlines: Online programs operate on rolling admission. Please contact us as early as possible to learn more! 6 hours per day, 5 times a week. Equivalent to 4 U.S. university credits. Private instruction. Get the most results and improve your Russian in two weeks with this intensive course. You will have one-on-one instruction via video conferences with a highly qualified professor from Karazin Kharkiv National University. In addition to the live video lessons, you will have assignments and readings. 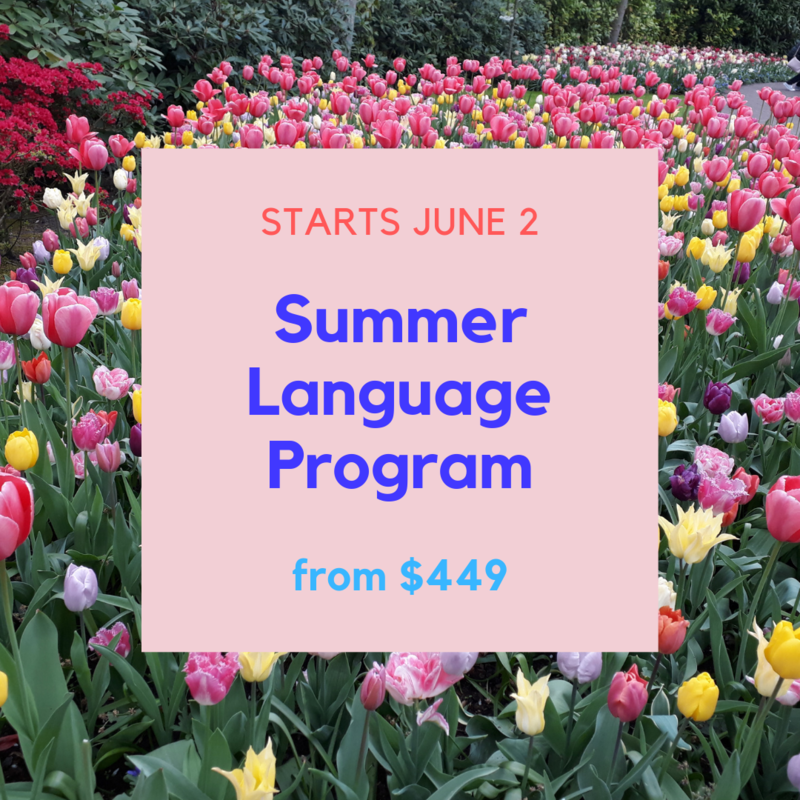 Upgrade one level in your language proficiency: from beginner to intermediate, from intermediate to advanced in just two weeks! This intensive course is based on individual one-on-one instruction and is available for any level. Dates: You will be the only student in the class, therefore you can start at almost any time that best fits your schedule. Please contact us as early as possible to learn more! 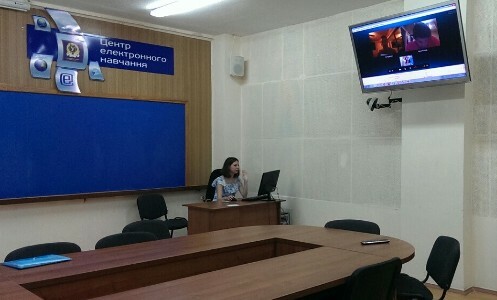 Instruction is in small groups via live video conferences with a highly qualified professor from Karazin University. Assignments and readings to complement the live video lessons will be provided. Private instruction option is available for each term with a surcharge of $200 per week. 4 hours per day, 4 times a week. Equivalent to 6 credits. Dates: Starts on the first Monday of every month. 4 hours per day, 5 times a week. Equivalent to 6 credits. 4 hours per day, 5 times a week. Equivalent to 8 credits. Dates: Please contact us to learn about the available dates. 4 hours per day, 5 times a week. Equivalent to 12 credits. Dates: Starts on the first Monday of January, March, May, July, September and November. Not intensive- 2 hours per day, 2 times a week. Equivalent to 4 U.S. credits. Dates: Fall, Spring and Summer terms available. Rolling admission and start dates. Please contact us to learn about the current available dates. All courses are available for all language proficiency levels from Beginner 101 to Advanced. If you choose an individual program, your professor will evaluate your level during the first class, will help you choose the areas to focus on and create a plan for achieving your targets. All students will receive an electronic version of the program completion certificate issued by EESA. There is a $20 surcharge to receive the original certificate in the mail. You may request to receive an official transcript issued by a fully accredited Karazin Kharkiv National University for your earned credits to be transferrable to your home university. The fee is $200 for one official transcript mailed, each additional copy is $20. Please remember that it is your responsibility to verify with your Registrar’s Office that the credits you earn will be transferrable to your home university.